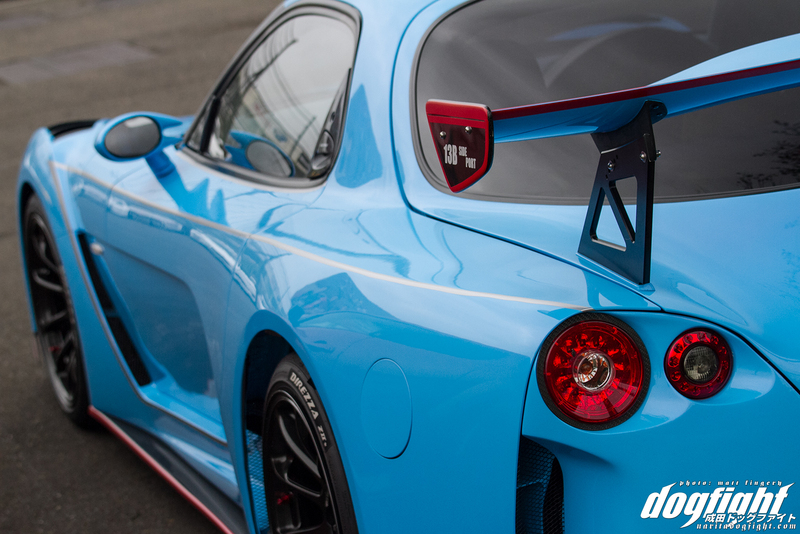 Once every year, on July 7th, tuners and enthusiasts from around the country celebrate Mazda’s shining triumph of engineering. 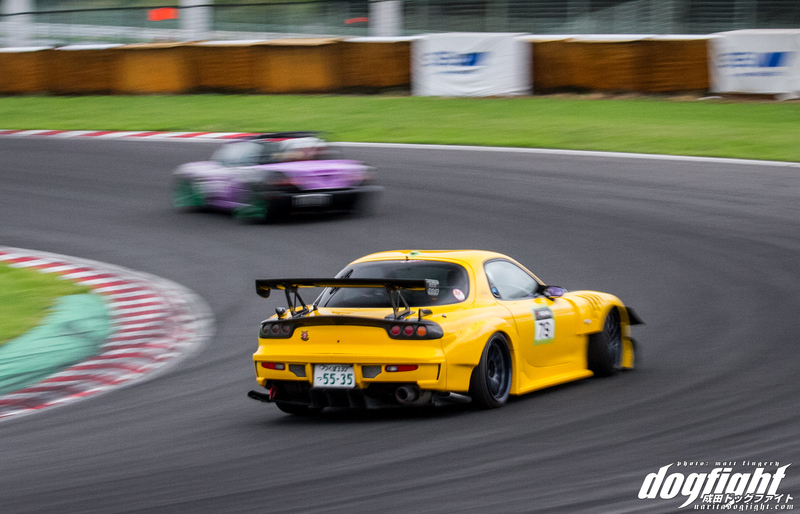 The RX-7, to many, is so much more than a car; it’s an engineering marvel. The unique rotary motor a triangular pariah in a sea of ordinary, piston driven combustion. 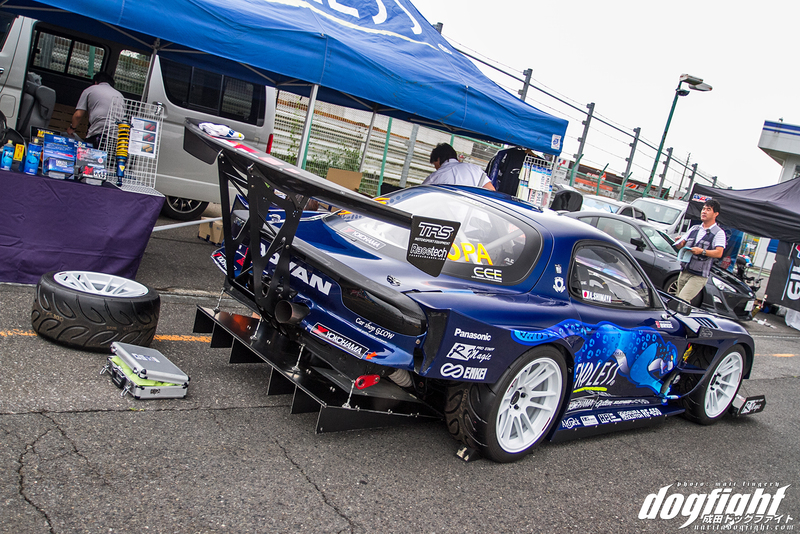 The chassis of the FD so perfectly geared towards time attack, has become a symbol of the sport in Japan. 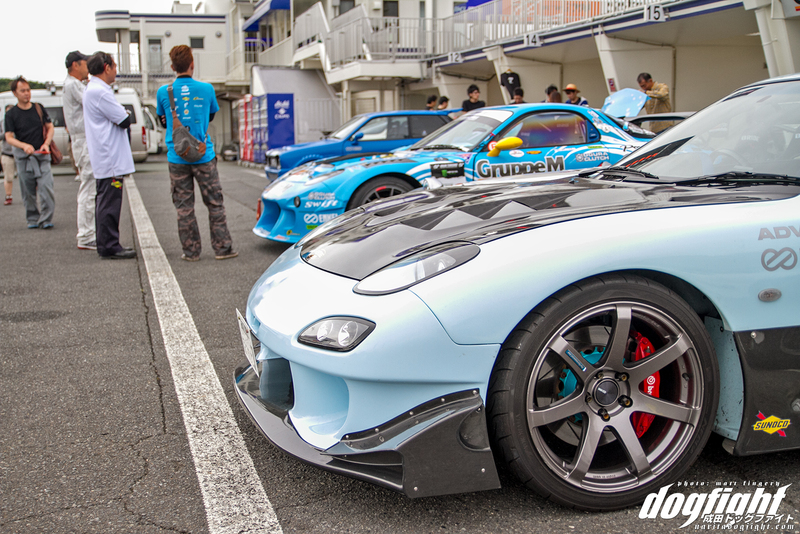 On this date, thousands will come together in honor of this car worldwide, with the epicenter being Tsukuba Circuit. I know, believe me…I know. I’m late to the game with this one. Matt was kind enough to take time out of his busy schedule to head over to TC2000 and shoot the event for me last month, but I’ve yet to find time to edit and get them on site. I’ve honestly just been busy – which seems to be a reoccurring theme with me over the Summer. 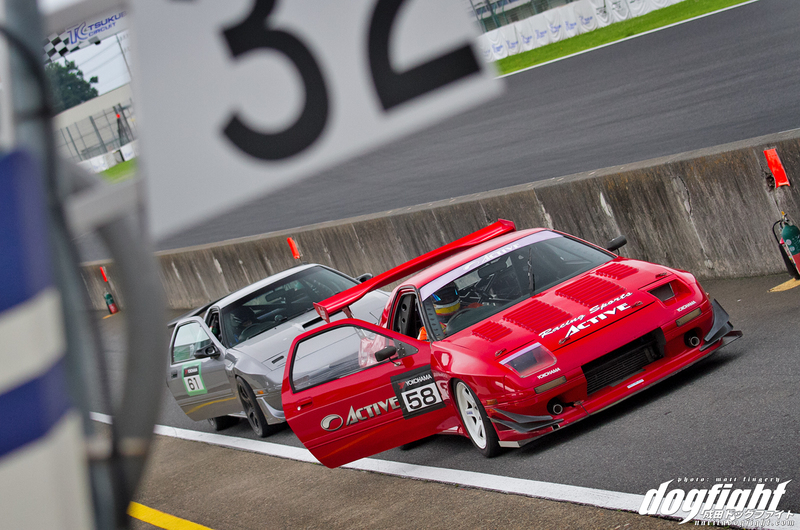 Time Attack season takes a serious vacation over the warm months and it just so happens that that’s when my day job gets pretty hectic as well. It’s a recipe for minimal site updates. 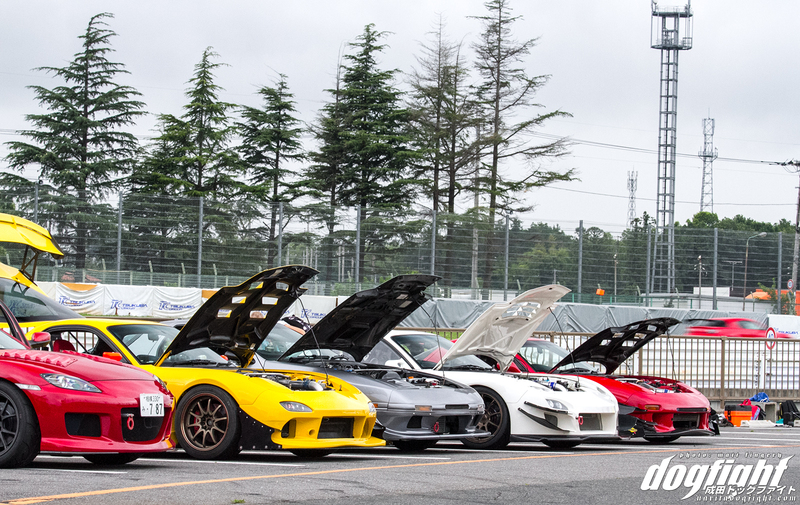 Anyway, the great thing about this event is the amount of variety within a single chassis. 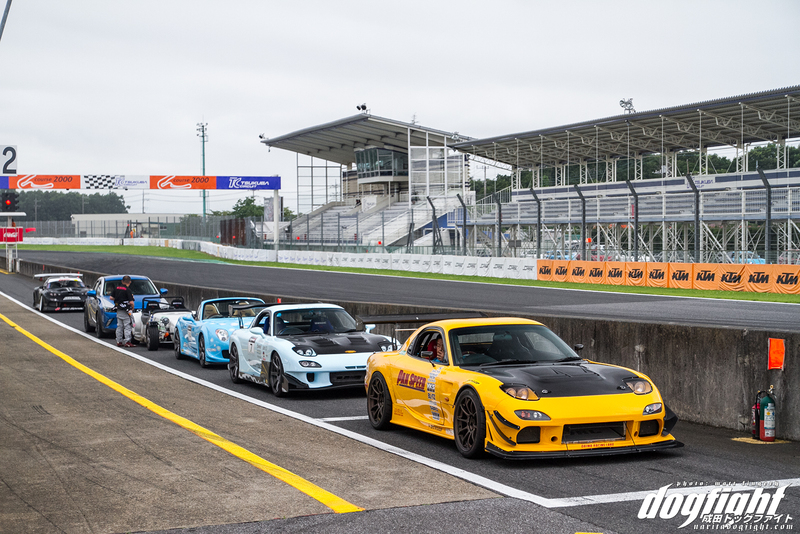 Albeit there are a number of different generations, but still, each one has it’s own personal twist to make it something different. 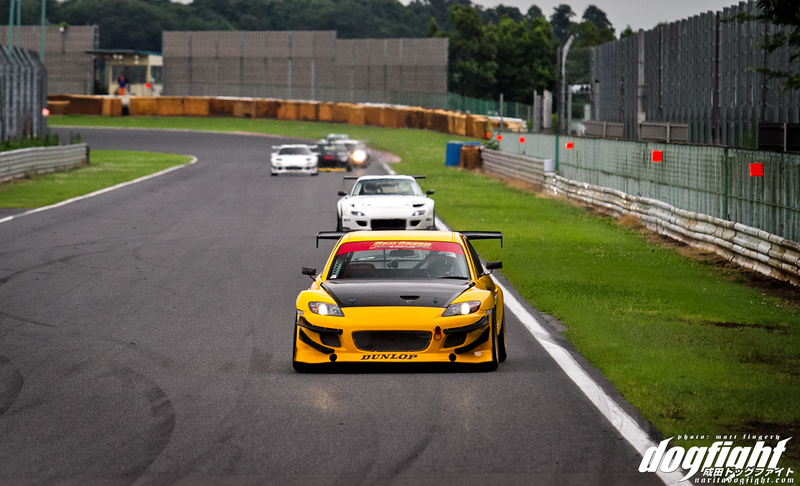 The factory-backed, Knight Sports RX-8 was on hand putting down some hot laps. 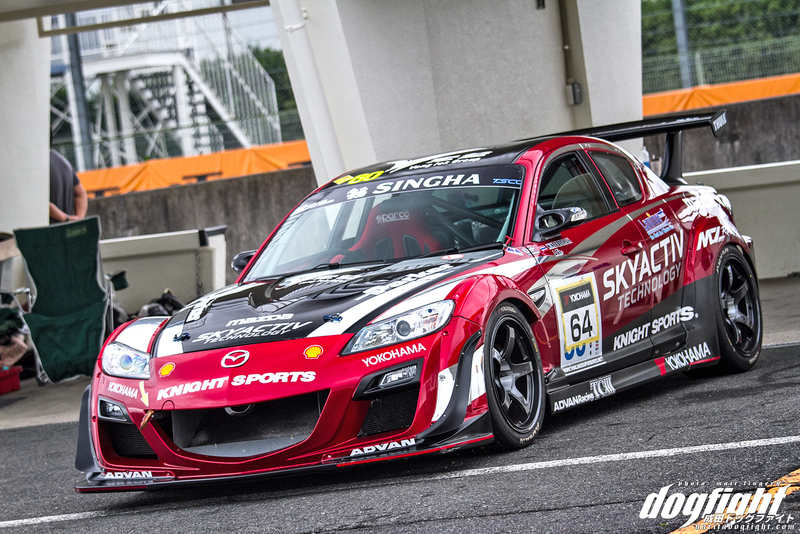 This car was built for the Thailand Super Series, so it’s no stranger to the race track. 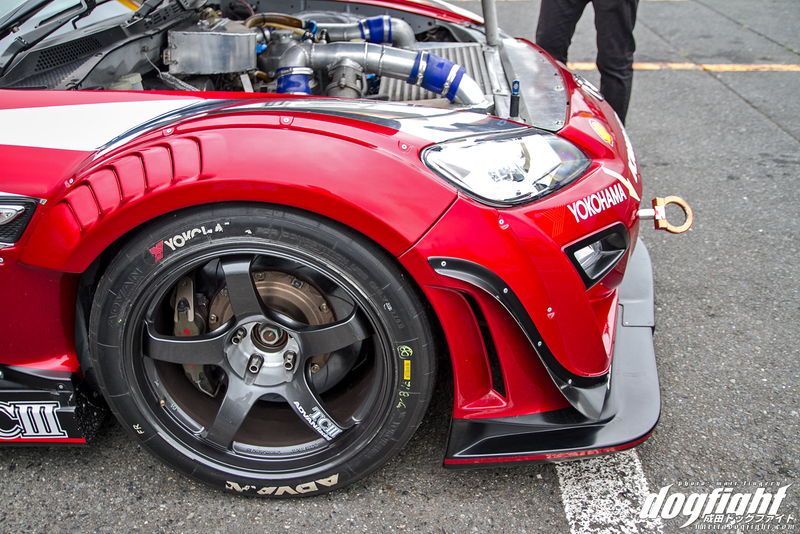 Advan TCIII’s looked right at home tucked under the vented fenders. 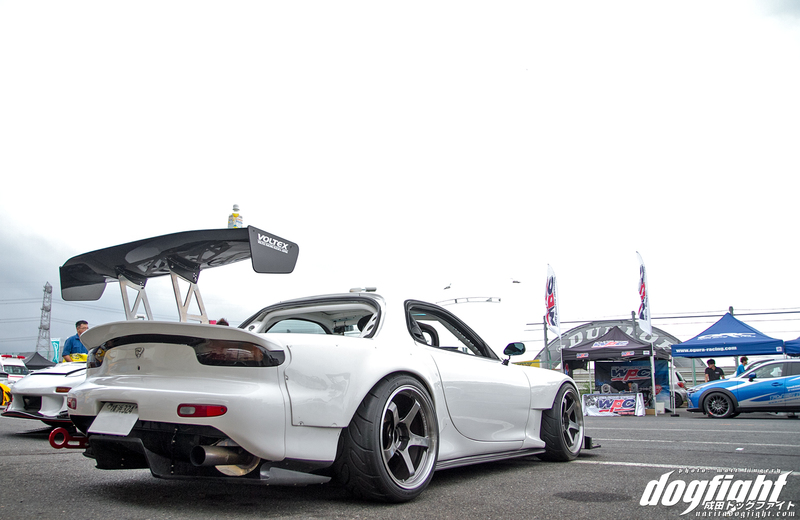 Check out those tires. 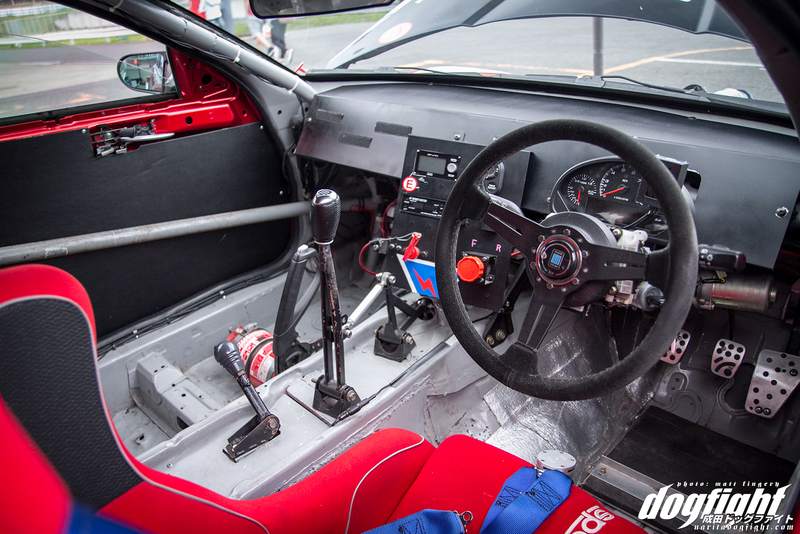 Pretty minimal interior; cut and dry race car. It looks really good when it’s all buttoned up – sans the billboard-esque decal arrangement. 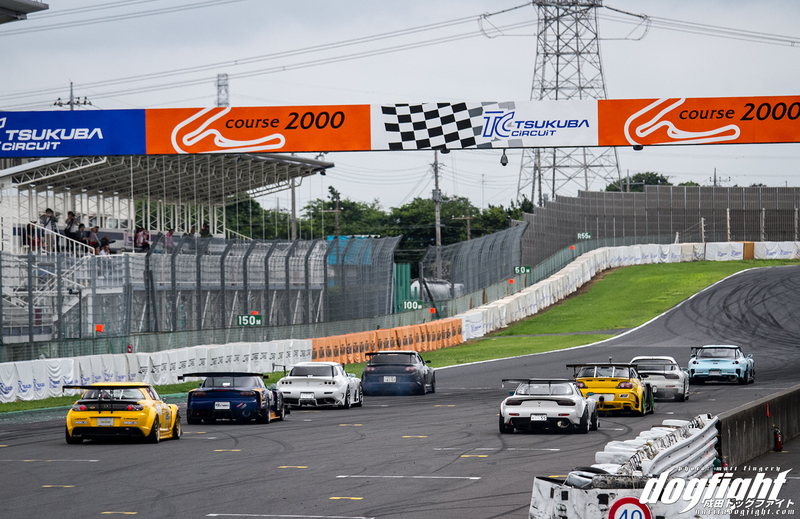 It’s not just full blown race cars the event attracts however, and even those who look the most out of place at a race track come to join the festivities as well. 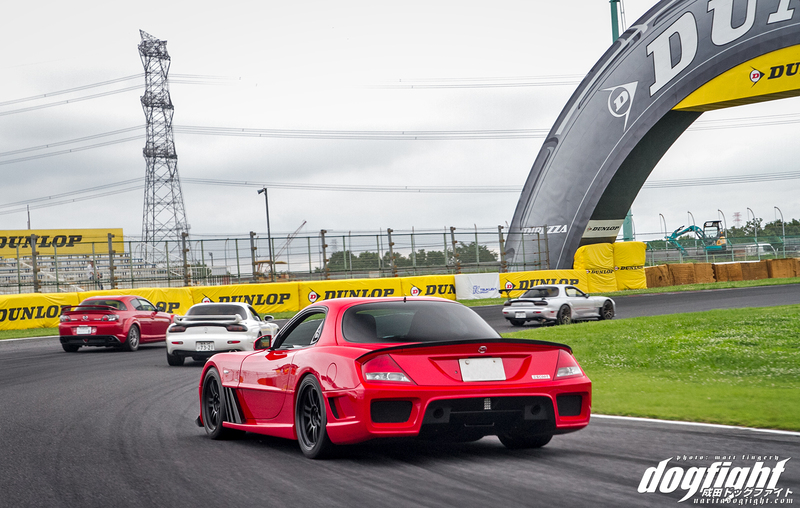 They hold a parade lap during lunch where anyone can go out on track to experience the well-known curves of TC2000. 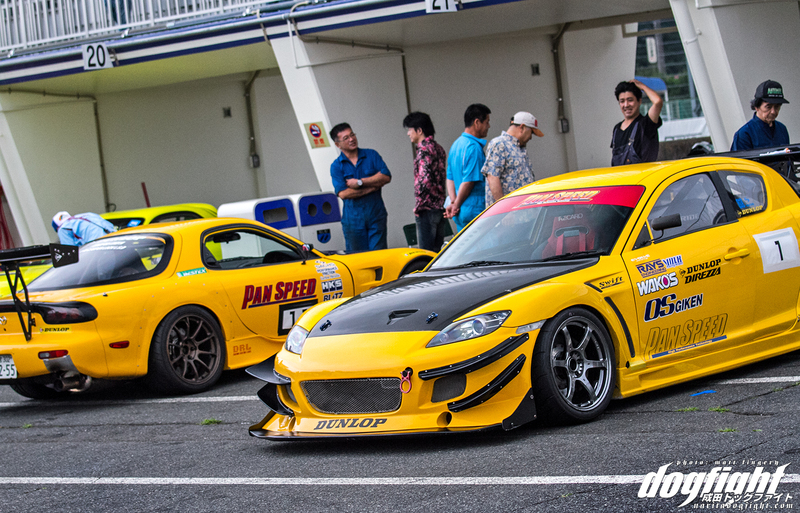 A little strange to see these FD’s with one-off body kits on track. 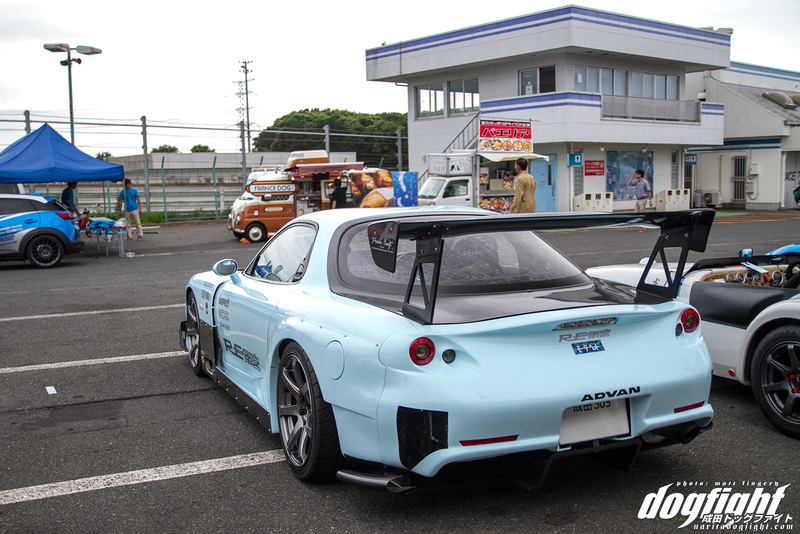 I think the FD is one of the most widely used chassis to experiment on with body design. 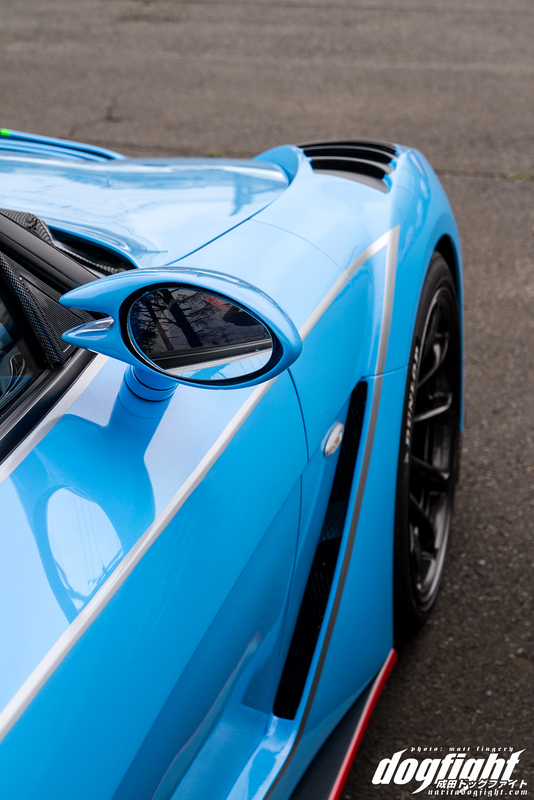 Take for example this, rather striking, looking bright blue one. Some pretty beautiful work going on here. Whatever type you prefer, it was on hand. 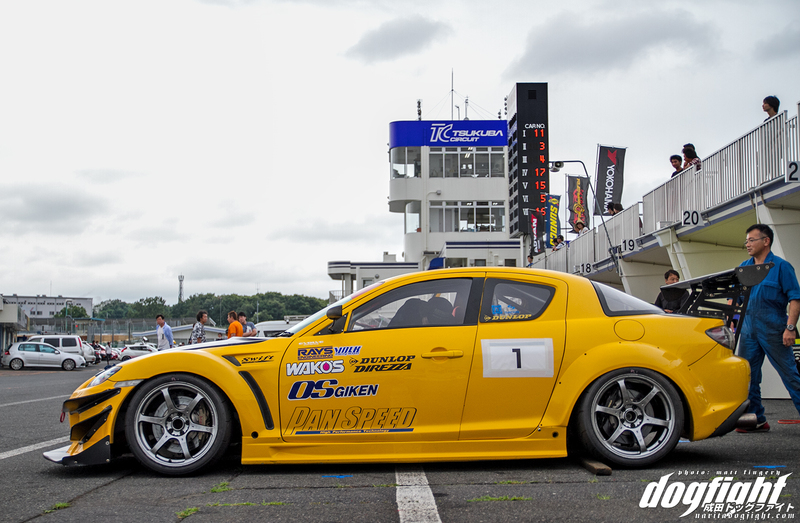 Most commonly though were the time attack builds. 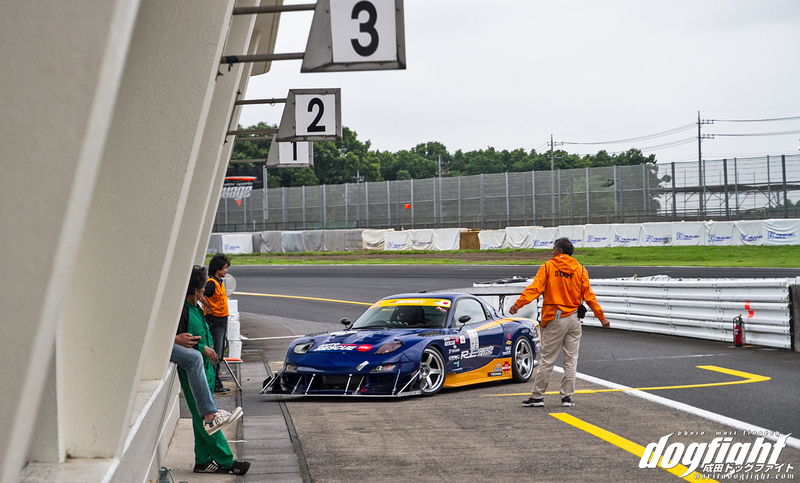 The drivers wasted no track time and the majority were out all sessions available. 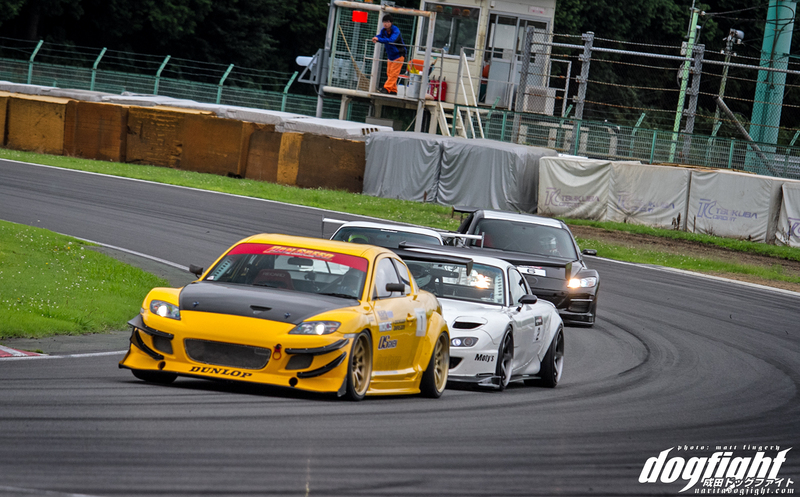 They even held a ‘showdown’ where 8 of the cars went head to head at the same time; very Best Motoring style! 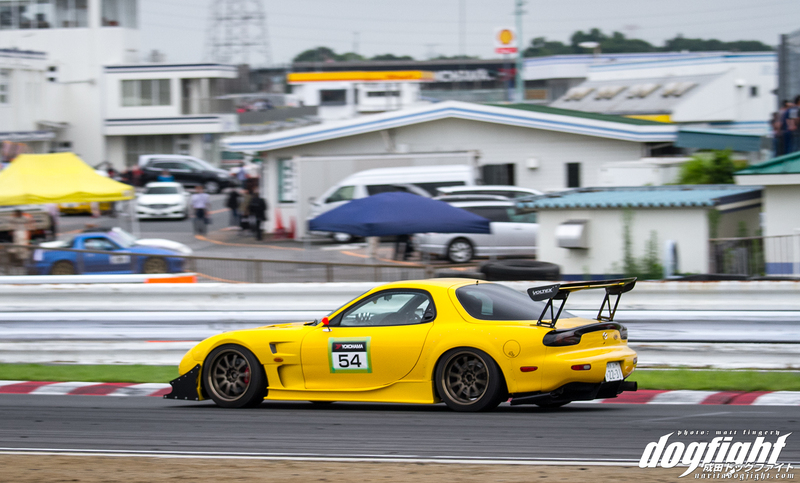 Yasuhiro and the Auto Rescue Izu FD fought the heat on track for the morning to lay down some good laps. Peep those Hawaiian shorts. 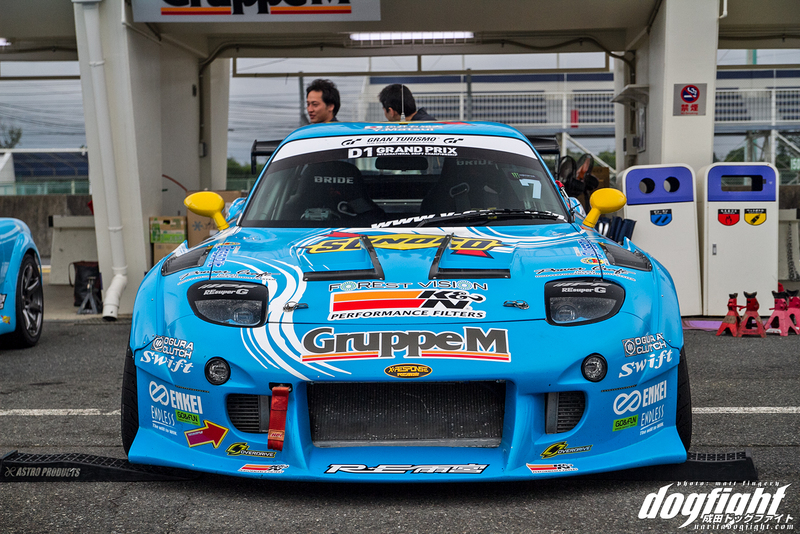 Car looked good on track as usual. As per the norm, the spectacular looking privateer builds dominated the day, providing entertainment for the track-goers. 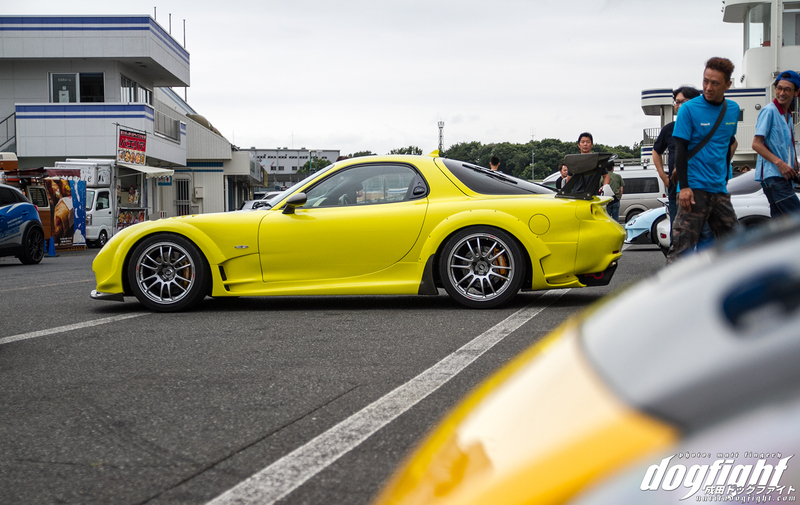 RE kitted FD running just a bit rich. 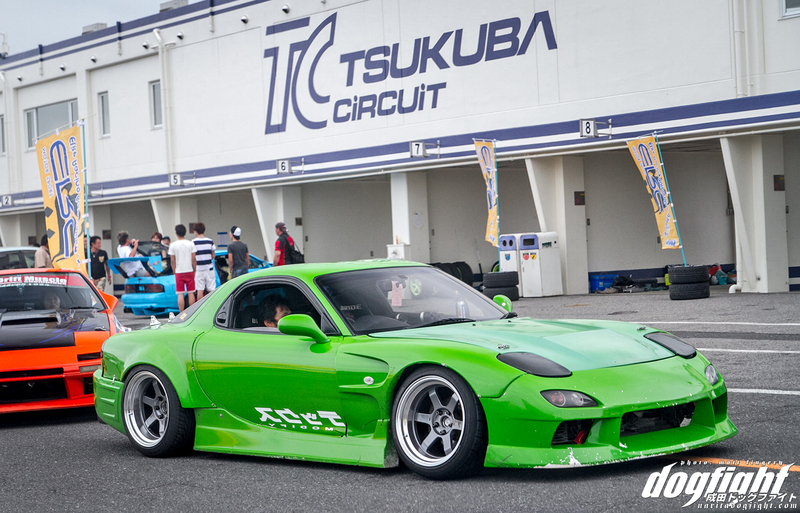 The Active FC3S – top tier example of a well built RX-7. 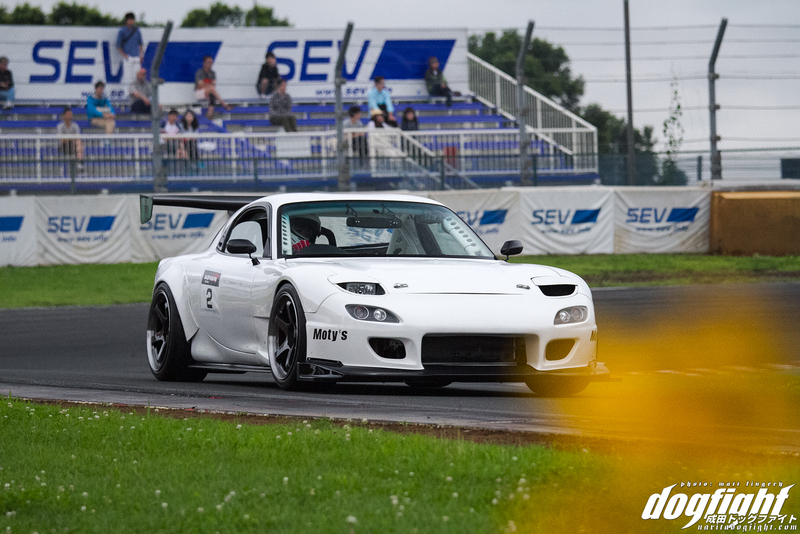 They even put on a small drift exhibition during the afternoon. 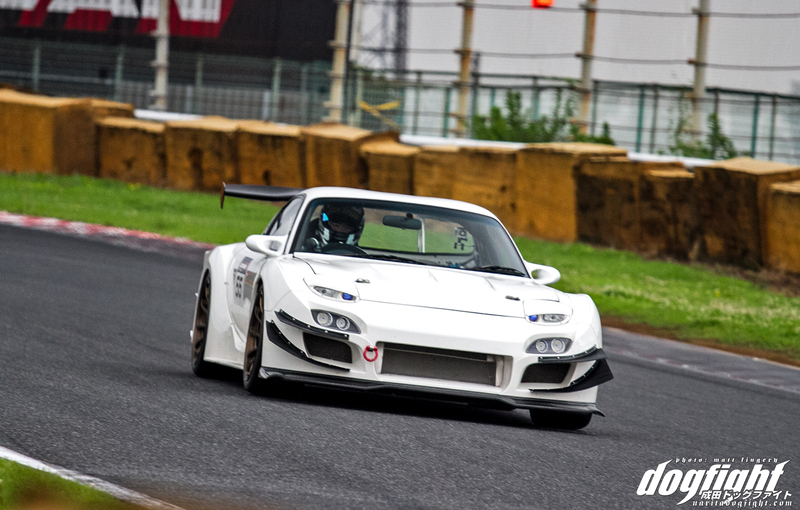 I got a kick out of this M7 Mutiara Motors GT300 replica FD. 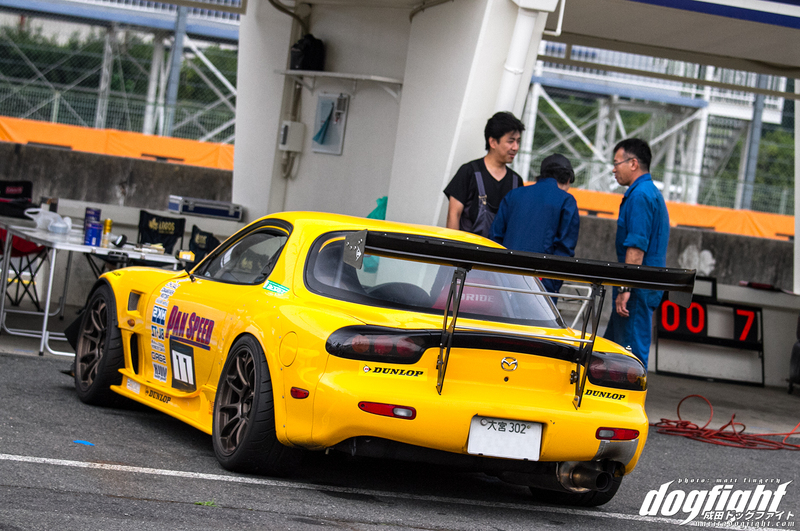 Look closely at that side exit exhaust…. 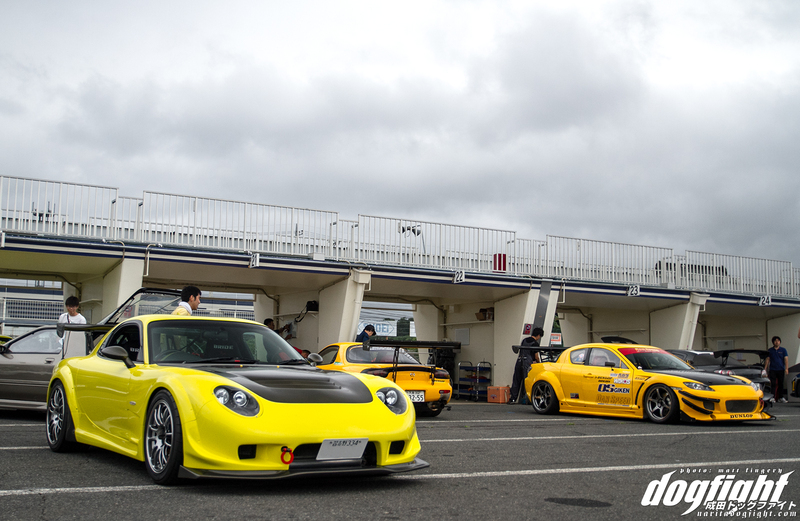 Yuki and his Scoot tuned 26B Quad Rotor were there. 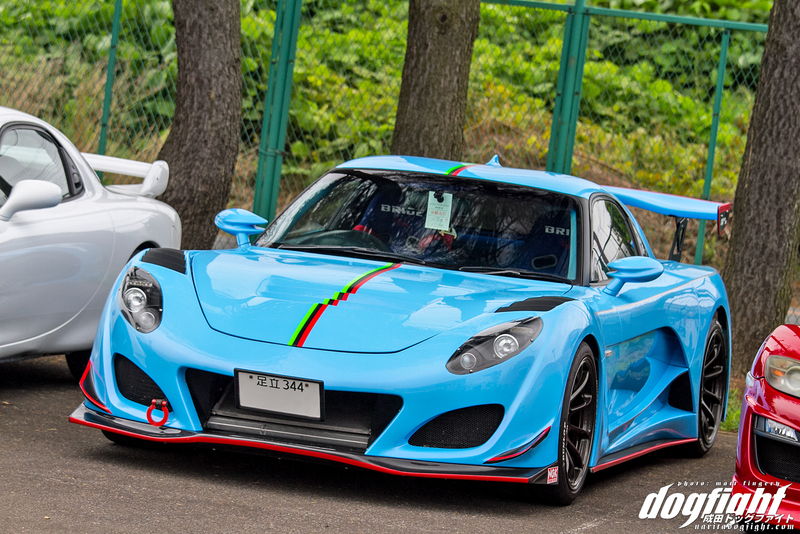 This car has changed tremendously since I last saw it at the last Winter Cafe. 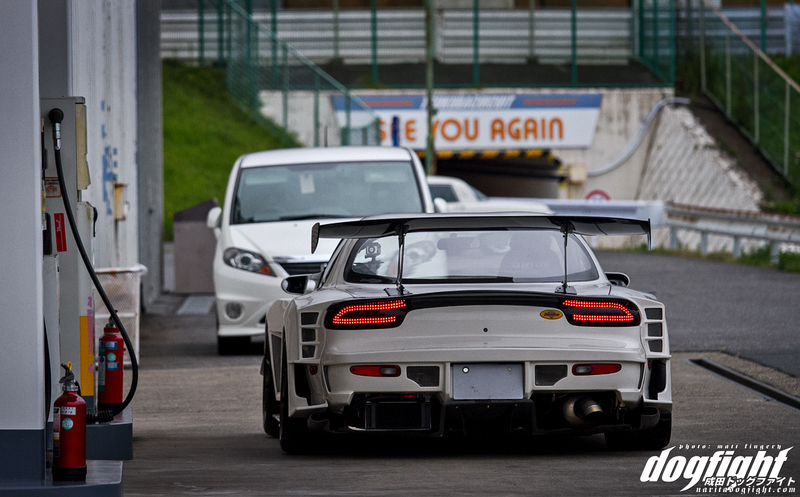 He was running mid-59’s. 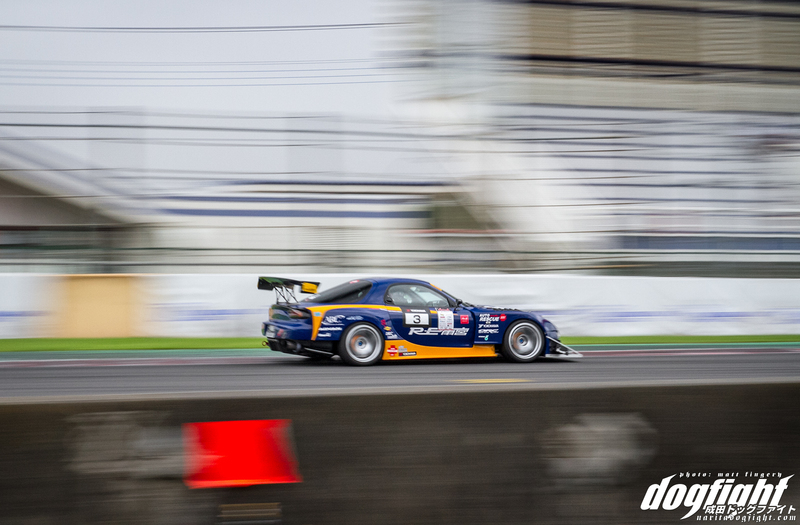 I’m not sure how much time he has behind the wheel, but definitely will become a force to be reckoned with if he keeps at it for a few seasons. 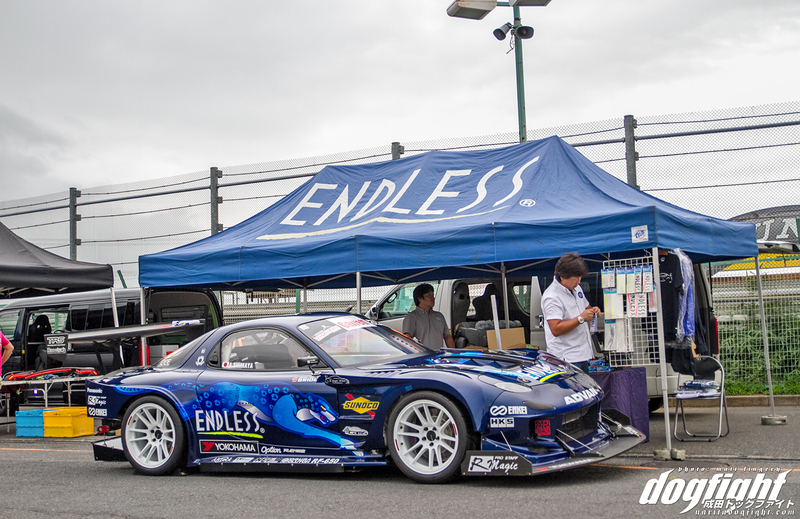 Shimaya and his Endless-backed FD were there as well. 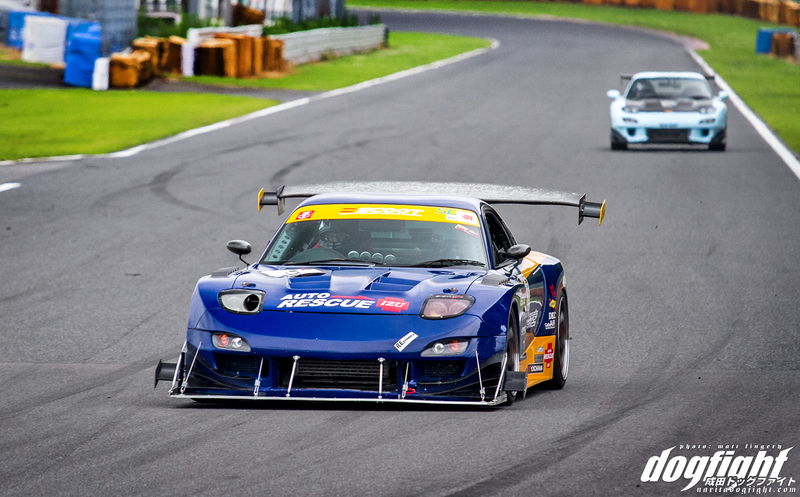 Beautiful car – looking forward to WTAC. All in all another fantastic event. Thanks again to Matt for the shots!